Microsoft slashes Surface RT price by 30% due to sluggish sales. 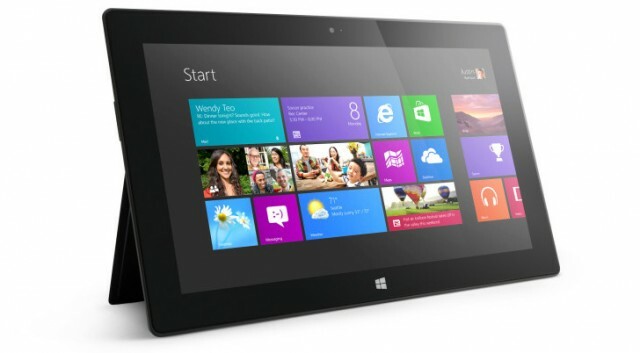 In response to sluggish sales, Microsoft has axed the price of its Surface RT tablet by 30%. The 32GB Surface RT, which used to cost $500, is now just $350; in the UK, where the Surface RT used to start at £400, it’s now £280. These price cuts are active immediately on Microsoft’s online stores, and at retailers such as Best Buy and Staples in the US, and John Lewis and PC World in the UK. The Surface Pro, with its chunky dimensions and weak battery life, is still priced at $1000. In other news, Microsoft has also confirmed that the Surface RT and Pro will be updated, probably alongside the release of Windows 8.1 and the Xbox One. Whether either of these moves will actually make Microsoft’s crippled, Metro-only Windows RT tablet useful remains to be seen. Ever since the Surface RT launched in October last year, one big question has been repeatedly leveled at Microsoft: How many units have you sold? Microsoft’s continued secrecy about the Surface RT (and Pro) sales figures has led the industry to just one conclusion: The sales figures are bad, really bad. If the figures were good, you can be guaranteed that Microsoft would be shouting them from the rooftops. Microsoft reportedly ordered three million Surface RTs originally, and the best estimates from industry analysts puts the current sales figure at somewhere between 1 and 1.5 million.With the news that that Microsoft is readying to release a Surface RT follow-up this fall, the massive price cut can only mean one thing: Microsoft and its retailers have a lot of stock that needs to be shifted quickly. 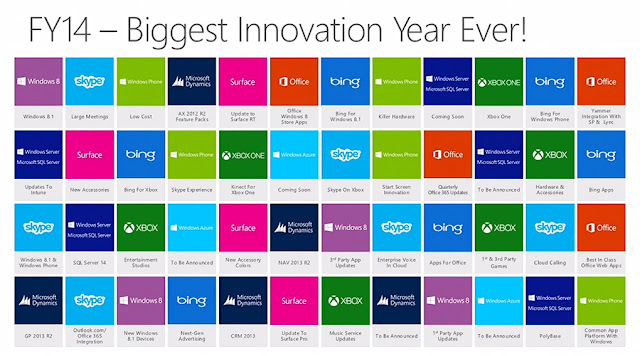 Microsoft’s expected product launches in FY 2014. Note the Surface RT and Pro in pink. Moving forward, Microsoft hopes that the Surface RT 2 is a lot better and a lot less useless. The updated version of Windows RT, which will be essentially identical to Windows 8.1, will help matters a little. The increasing number of apps, and improvements to the Windows Store, will help too. Perhaps most importantly, though, the Surface RT 2 will presumably come with a hardware spec that’s comparable to the iPad, and an SoC that’s actually powerful enough to run Windows RT without sizable slowdowns every time you open an app or try to multitask. We don’t have the specs yet, but we would expect the Surface RT 2 to use a Qualcomm Snapdragon 800 SoC, which is twice the speed of the Tegra 3. Whether these changes will actually make the Surface RT 2 and other Windows RT 8.1 devices viable remains to be seen. Come winter, Microsoft will not only be competing with the latest and greatest from Samsung and Apple, but also Intel’s Bay Trail. With the x86 SoC expected to blow ARM out of the water in terms of performance while maintaining competitive battery life, plus the ability to run full-fat Windows 8.1, the future for Windows RT and Surface RT is bleak. With Haswell inside, we expect the Surface Pro 2 to have more luck — but with competition in the tablet market growing stiffer by the day, Microsoft really has a tough task ahead.